In the last few days I’ve built myself a couple of 4ft 4Bank professional DIY KinoFlo’s for an upcoming shoot. I improved the original design by integrating the fixture inside an ultralight Flightcase. This makes them very portable and no bags are needed anymore. Here are a couple of snapshots I took with my phone. 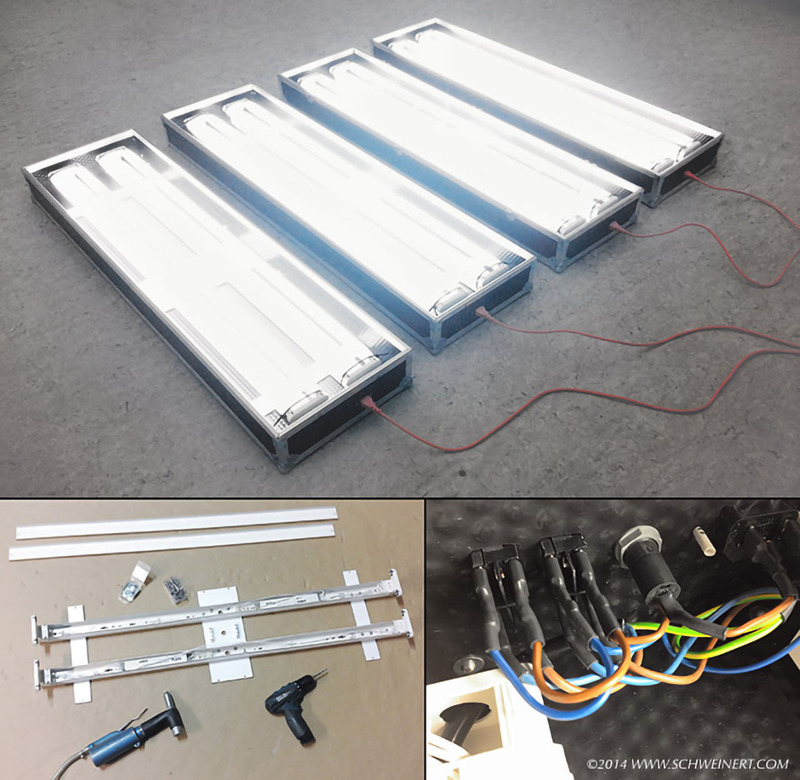 It took me almost 2 weeks of research and development to find the right parts (Flightcase material, tubes, flicker free ballasts same as in original Flo, …). Here I used my little cnc-machine to mill some holding plates for the lighting fixtures. 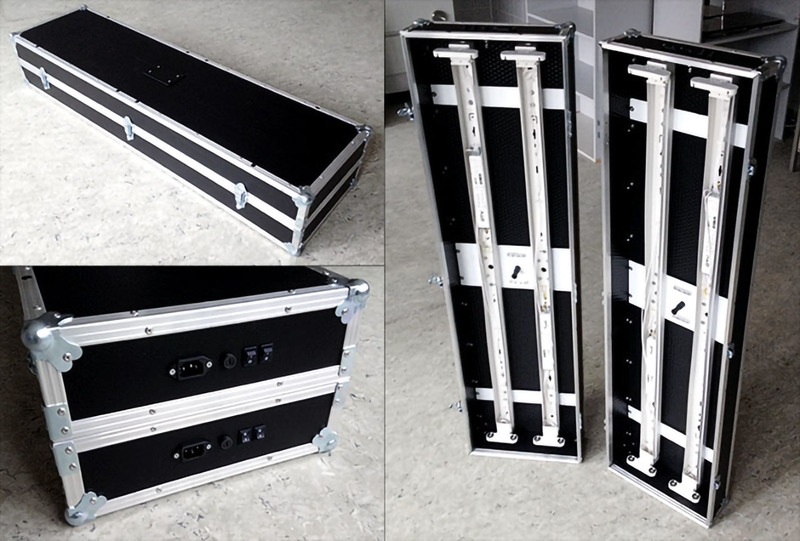 Two DIY KinoFlo’s inside the ultralight Flightcase with detachable hinges. 4 DIY KinoFlo’s with High CRI tubes. I would like to add a honeycomb or eggcrate grids to them but I can’t find such a material here in germany. I’ve noticed that the original Divas use dimmable OSRAM ballasts and flicker / color shift may occur when dimmed below 50%. Therefore I’ve built my own 4ft 4 Bank KINO’s with OSRAM Pro series ballasts (not dimmable – don’t need that) and they’re superb! I’ve made a flightcase out of them so they’re very portable. I’ve used some sort of corrugated plastic named CON Pearl 7mm (used in higher-end flightcases where lightweight matters). 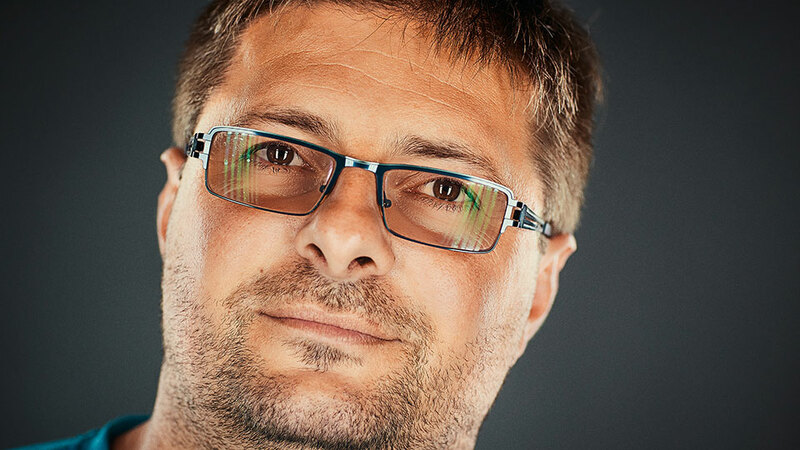 The most important thing is to use a very good ballast and of course lamps with high CRI. 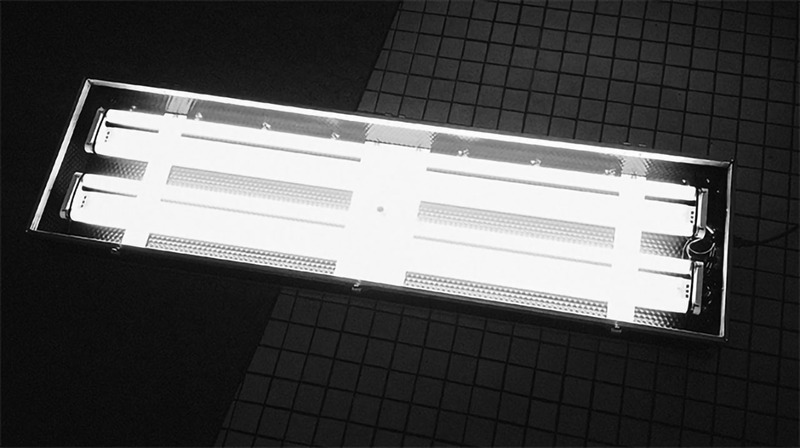 You can even upgrade china knockoffs and make them flicker free by replacing the ballasts and lamps (if there is enough space and the wiring is of good quality). 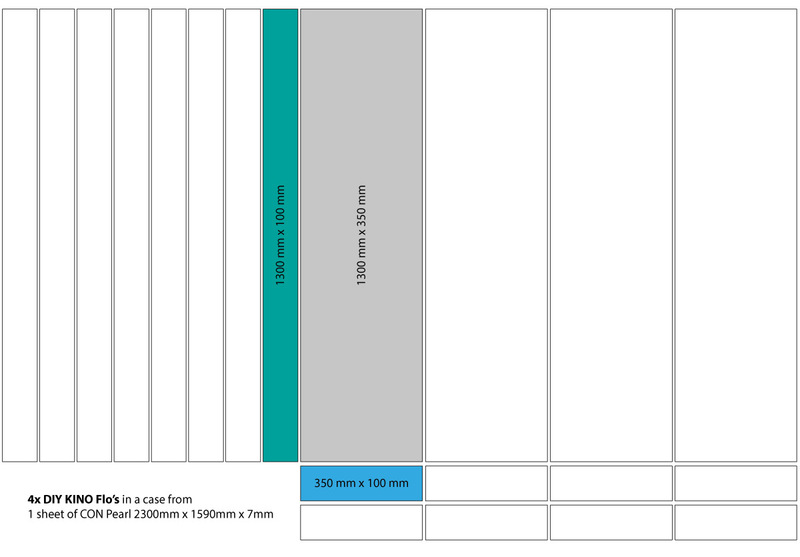 I don’t have a real schematic or video but I can give you the measurements of the flightcase (half-shell). Price for the materials were approx. 200,- EUR per DIY KINO Flo. I could have made them much cheaper but I picked only high quality materials. 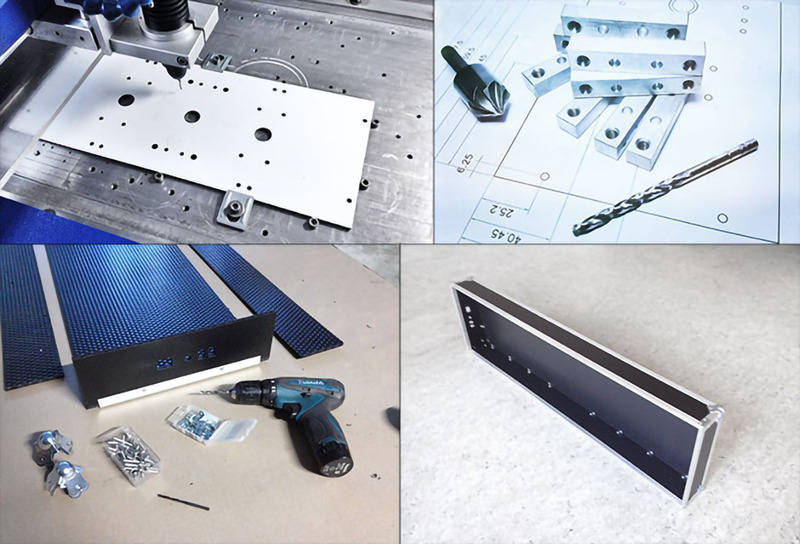 Below are 2 quick drafts of the flightcase (half-shell) and how to arrange everything to get 4 DIY KINO Flo’s from 1 sheet of CON Pearl 7mm. Check youtube or vimeo on how to build a basic flightcase. There are tons of tutorials about that. Just use the above “CON Pearl 7mm thick” or any other sort of corrugated plastic instead of wood and you will get a really lightweight flightcase. I’ve started also a thread on bmcuser.com with more information about my DIY KinoFlo’s. Next Sony Cyber-shot F828 IR Magnet Hack in 2 seconds!